GI Joe comes with a dog tag. Almost always have. It’s part of being a GI Joe. Hasbro began by mimicking dog tags used by soldiers during World War II, slightly oblong tin things with a small dent in them. 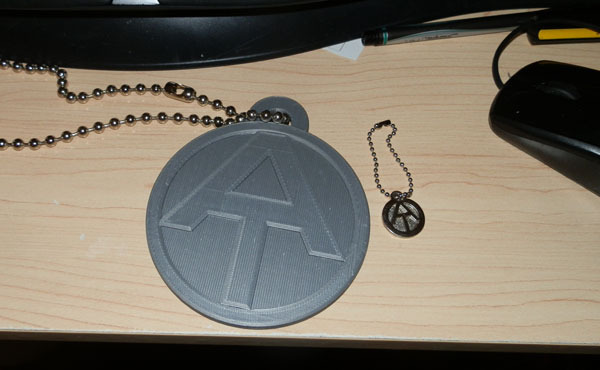 Then when the Adventure Team came about, this continued, but they changed the dog tag to be a circle with the AT logo of the Adventure Team. The back side had the GI Joe logo with bearded face over the J. 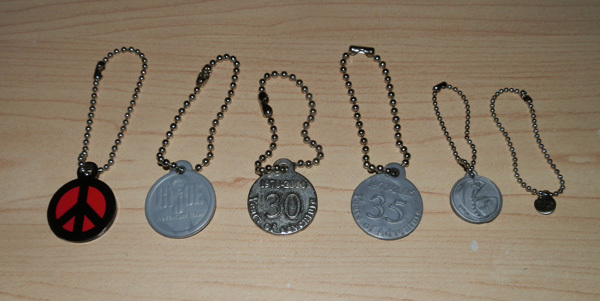 When Hasbro brought out the 30th Anniversary figures, they reproduced the original AT dog tag for the 12″ figures. The back of these had 1970-2000, 30 Years of Adventure on them. Then when they brought out their Timeless Collection Adventure Team sets, many of these had a metal version of the dog tags. The 35th Anniversary editions had 1970-2006, 35 Years of Adventure on their reverse sides. 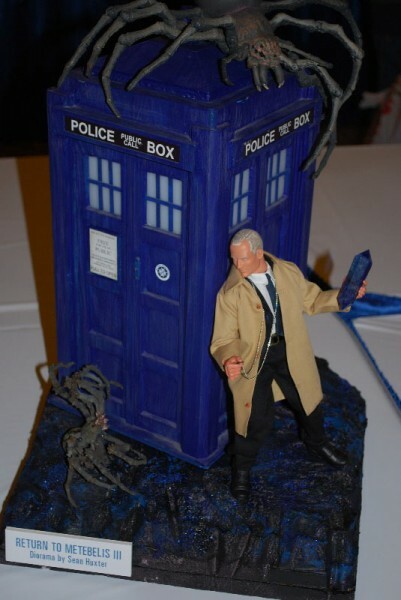 Some club exclusive figures came with a metal version of this one too. 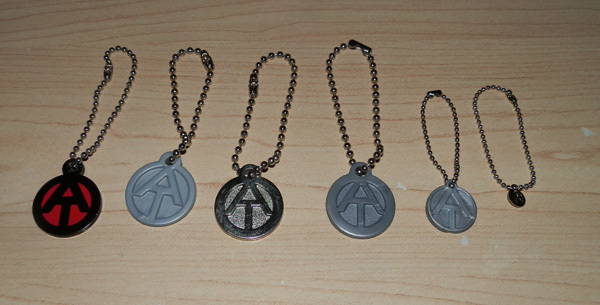 The GI Joe Collectors Club created a smaller version of the AT dog tag to proper scale with the 12″ GI Joes. Those had the AT logo on one side, and the obverse was blank. 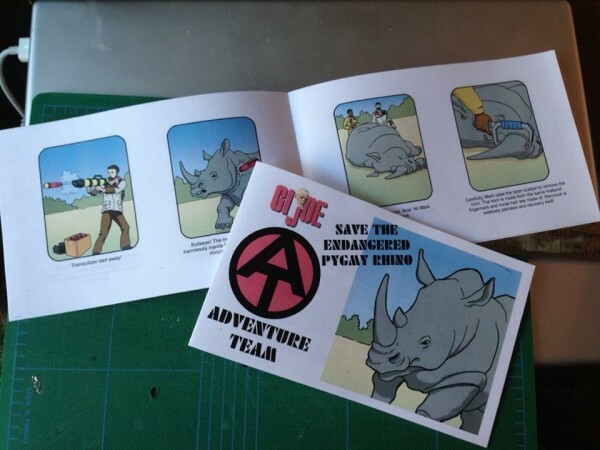 But what I find interesting is the Sigma Six Adventure Team line (three sets produced a few years back) had its own AT dog tag. It’s about 2/3 the diameter of the original, and the one I have here has a symbol on the back that may represent the cobra snake in the Snake Eyes “Pyramid of Peril” Sigma 6 Adventure Team set. And for further fun and joy, the club created a very special figure in 2003 for the convention that had an Adventure Team GI Joe dressed as a hippie with bell-bottom jeans, platform shoes, a dashiki, a white T-shirt with shoulder holster and pistol. He was the Counterculture Joe, operating undercover. One side of his AT dog tag was a beautifully colored (for the first time) AT logo, and on the obverse, a peace symbol. 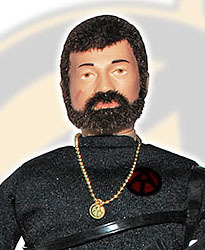 This figure was making a number of inside jokes about GI Joe from the two-finger (toke) grip to the longer fuzzy hair (a ‘fro) to the idea that the AT logo was intended to look like the iconic peace symbol from the hippie years. 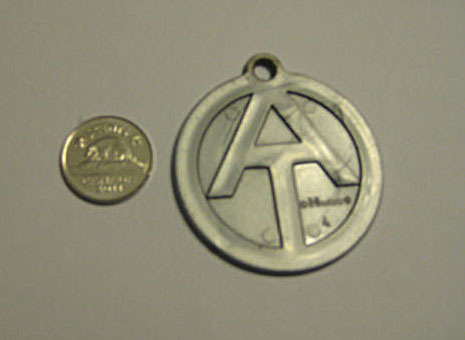 And now for the 50th Anniversary, the Club is creating a gold version of the miniature AT dog tag for the 12″ Adventure Team figure in the set. 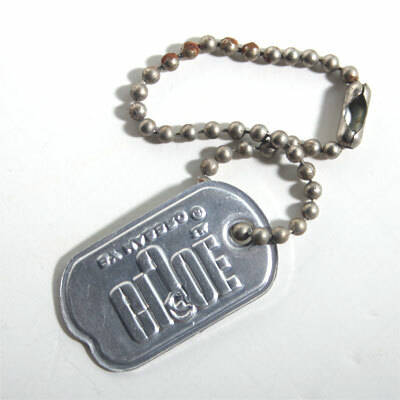 In the 1970s joining the GI Joe club (then run by Hasbro itself) could get you this special-edition dog tag. It is a child-sized dog tag and measures approximately 2″ across and was meant for the kid to wear. And last, this piece is a bit of a mystery. I can find no reference to it online but I managed to get my hands on it. This one measures just over 4″ in diameter and has a very large metal ball-chain. It’s next to a metal 35th dog tag for scale. GI Joe is of course one of the most iconic toys in history. He has some competition, but not much when you consider just how many toys there are in the world. But what is the story of GI Joe? And how did his origins as America’s Fighting Man morph into his history as the Adventure Team? And how did he then become the Real American Hero? 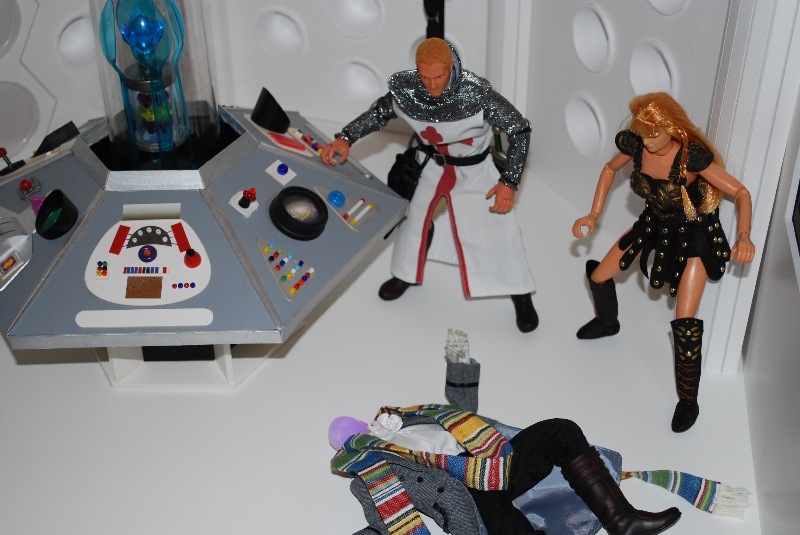 It started out in 1964 with the introduction of a very risky toy. At that time the general wisdom was “boy will not play with dolls”. So Hasbro did something very clever. 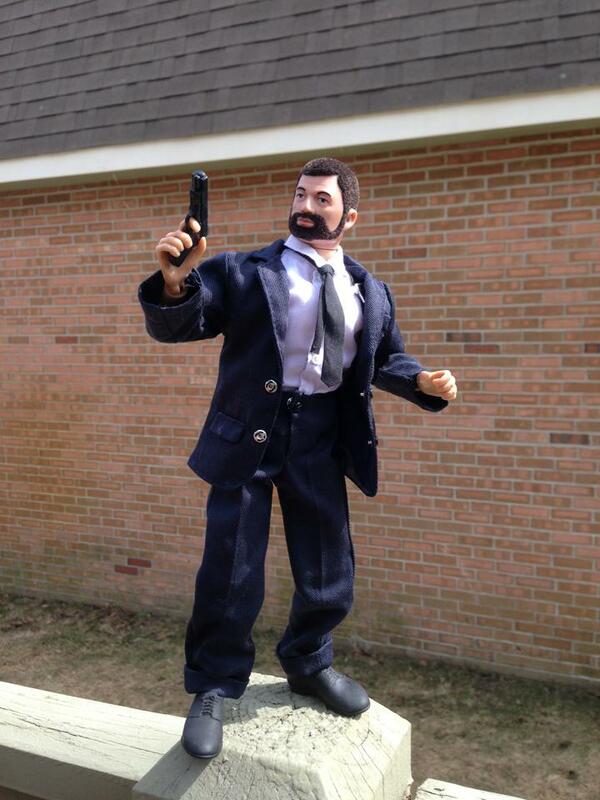 It coined the term “Action Figure” and the first Action Figure was born with GI Joe. It being just 20 years after World War II, America had military accomplishments to be proud of, and many kids grew up knowing their fathers had been in the war. Honoring them by playing soldier with GI Joe was something many kids thought was cool. With the glut of Hollywood movies about the war, war comics being popular, there was a lot supporting the sale of GI Joe. With the Viet Nam war, however, everything changed. It was a war that became so hated that the soldiers who came back were often shunned when they returned, if they returned. War was no longer popular. Hasbro switched gears and created the Adventure Team, a globetrotting group of heroes who hunted white tigers, or searched for the Yeti, or dealt with dangers in the depths of the ocean. By 1976 GI Joe, at least in his 12″ form, was no more. An attempt was made to bring back Mego-scaled (8″) SuperJoes, but that didn’t take off either. In 1980 Hasbro brought Joe back to immense popularity with a new 3 3/4″ line of figures that were doing rather well in the Star Wars line, and so GI Joe, the Real American Hero was born with some very cool equipment, lots of figures, this time with real names and identities kids didn’t have to infuse into their toys themselves, with real villains and a comic book series that sold the toys perfectly. But the connection between the original 12″ GI Joes, at least back-story-wise, was tenuous at best. So the writers of the comic book “rectonned” (retcon: (n) a portamteau of “retroactive continuity” – deliberately changing previously established facts in a work of serial fiction) Joe Colton into the story to link the current line to the original, and not many people complained about it. 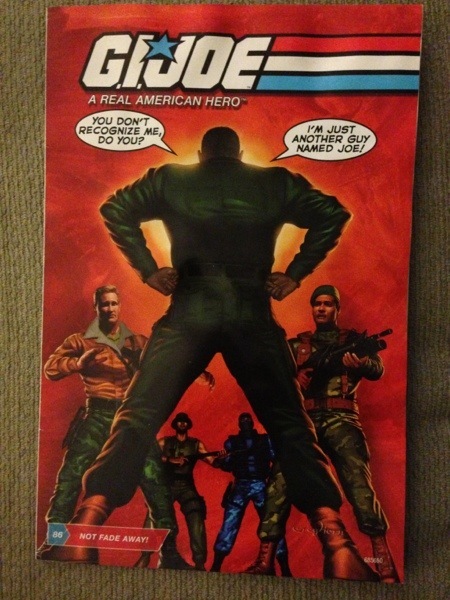 In 1989 in issue #86, “Not Fade Away”, of GI Joe: A Real American Hero, (reproduction cover seen above) featured a battle against Cobra inside the Chrysler Building in New York. Inside, the GI Joe team meet the head of security for the building, and a female psychologist. His is not revealed until the end, when one of the GI Joe crew says he looks familiar, and was good enough that he should join the GI Joe team. 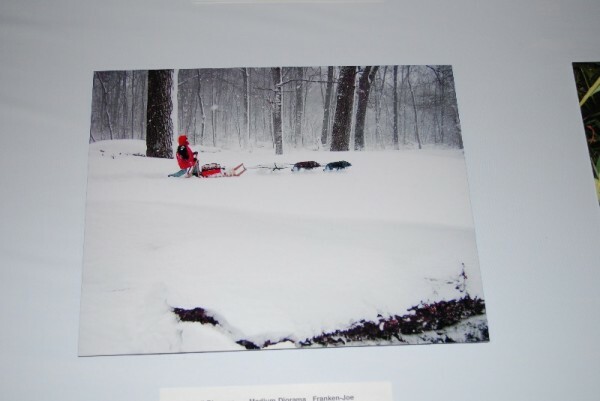 The psychologist, named Jane, laughed, telling the newcomers that they were talking to the original GI Joe, Joe Colton. 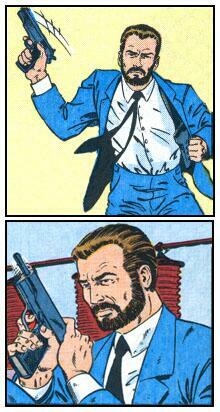 Joe Colton would later be solidified in the lore by being in the second GI Joe movie, as played by Bruce Willis. To honor GI Joe in all of his most successful incarnations, the GI Joe Collectors Club has previewed images of its Convention Exclusive 12″ figure set for the upcoming 50th Anniversary Convention in Dallas, Texas. The set will come with a 12″ Green Beret figure to commemorate the original 1964-1970 military GI Joe, a 12″ Adventure Team GI Joe to commemorate the Adventure Team era, from 1970-1976, and as a special treat, a 3 3/4″ Joe Colton figure to commemorate the Real American Hero figures that have been so enormously popular. Joe Colton is designed to look like the character revealed in the comic book. And in honor of that 50th Anniversary, and now very real connection between the original GI Joes and the subsequent lines, I have created a custom 12″ Joe Colton myself. Here is my custom Joe Colton. I used a reproduction Land Adventurer, dressed in a Donald Trump suit, with shirt and tie from an Unknown Soldier figure. He’s wearing Neo’s twin shoulder holsters, though you can’t really see those in the picture, and is carrying one of his two .45 pistols. A couple of years ago Hasbro tried a new line of GI Joe toys which I thought were quite beautiful. 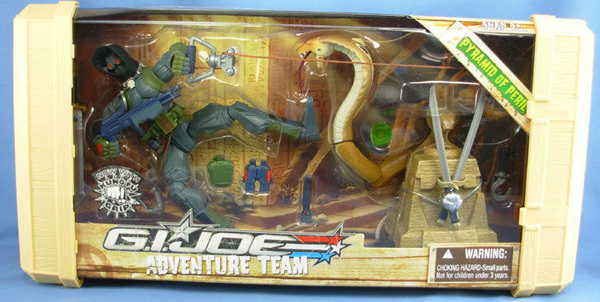 Sigma 6 were six-inch stylized versions of the GI Joe figures from other lines. Despite the fact that Snake Eyes and Storm Shadow are Real American Hero Joes, created in the 1980s for a new 3 3/4″ toy line and comic book series, Hasbro incorporated them into a few Adventure Team Sigma Six sets and the sets were quite nice. They also created a couple of more traditional, bearded GI Joes in this line for the AT sets. Snake Eyes here is trying to retrieve a rare green gem from a pyramid, protected by a giant cobra (irony?) and the gem itself is booby-trapped behind two spring-loaded swords. The set comes with a bunch of gear including a zip-line for Snake Eyes. 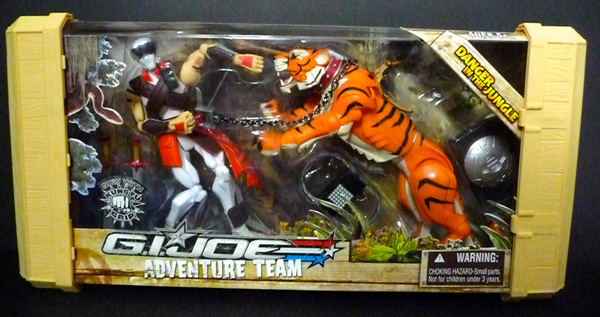 This reprises the vintage Hunt for the White Tiger set from the original GI Joe Adventure Team line, as well as the Save the White Tiger from the more recent Adventure Team revival of a decade ago. Here, for some reason, Storm Shadow faces down an orange tiger. 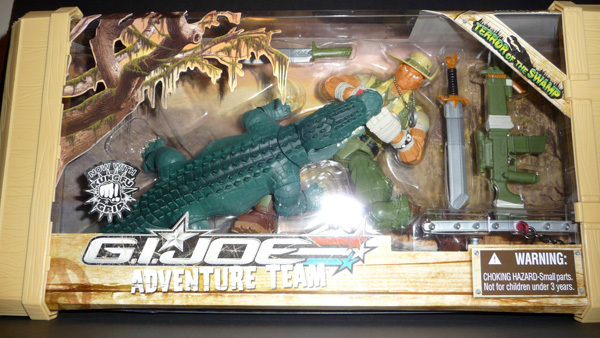 This also reprises the Secret of the Savage Swamp sets from both the original Adventure Team line as well as the more recent Classic Collection Adventure Team line. 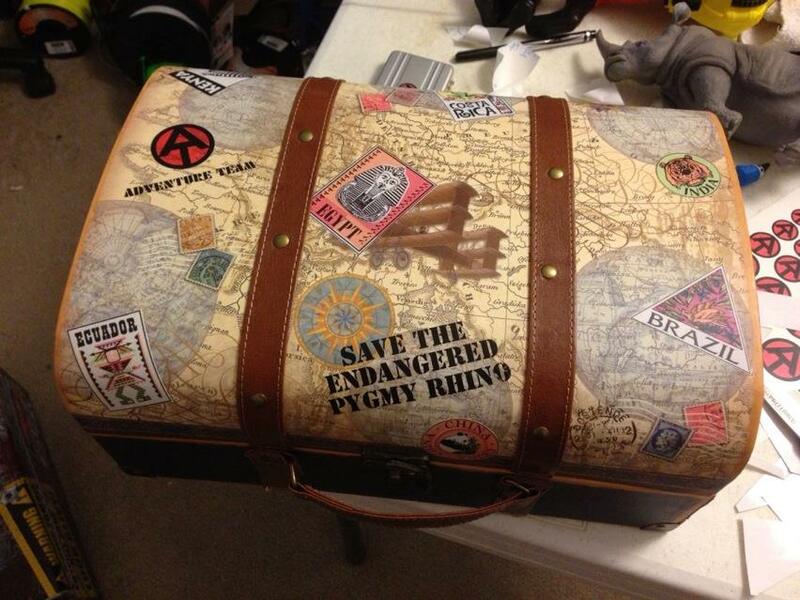 This one would have reprised the famed Pygmy Gorilla sets from the Adventure Team’s illustrious past. Holders of these sets will appreciate the packaging. 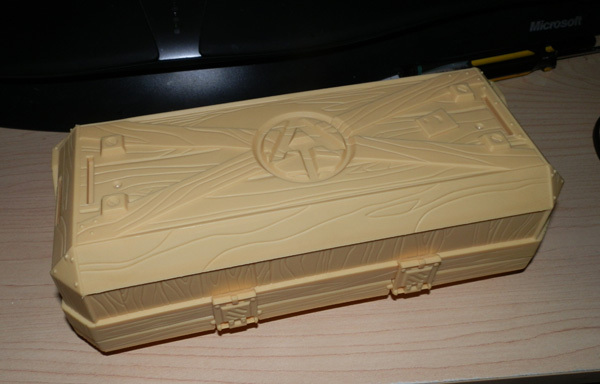 Sigma 6 sets were packed in plastic boxes sealed at either end with an intricately molded cargo box in two pieces. 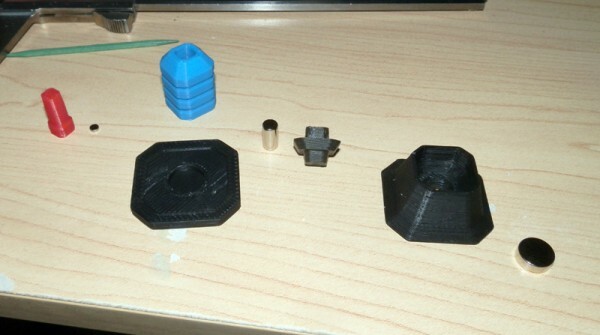 When the package is opened, you can snap the two pieces together to form the top and bottom halves of a cargo crate which you can fit all the gear into. 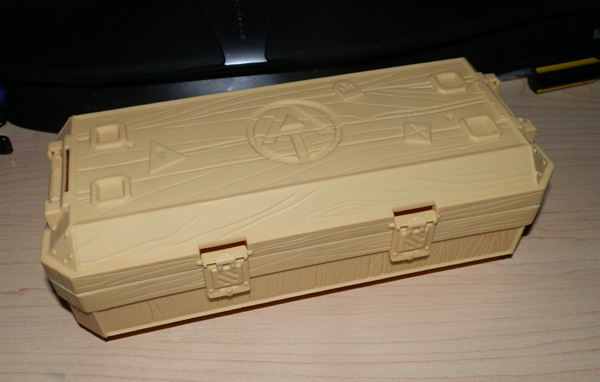 The regular Sigma 6 sets had gray ammo cargo boxes, but the Adventure Team line had them modeled in Adventure Team theme, including the familiar and beloved AT logo. 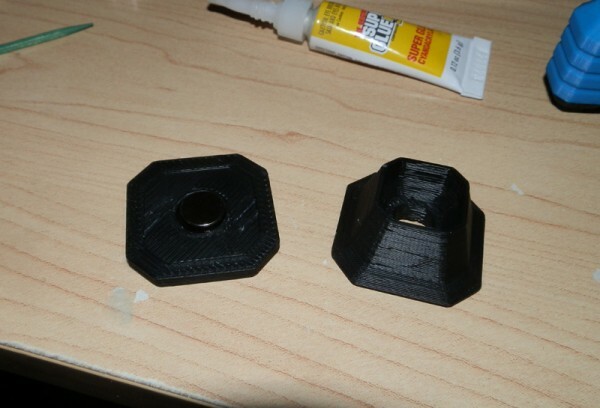 Here my 3D printer comes in handy again. I designed an AT logo that can fit into the recessed AT logos here to add color to the crate. Voila. 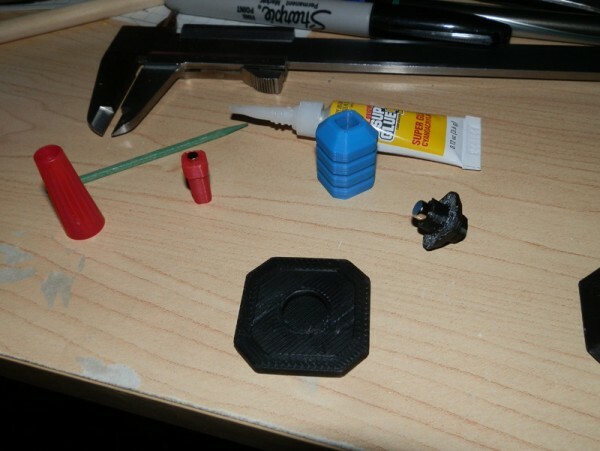 Another nice GI Joe Adventure Team project created with my 3D printer. 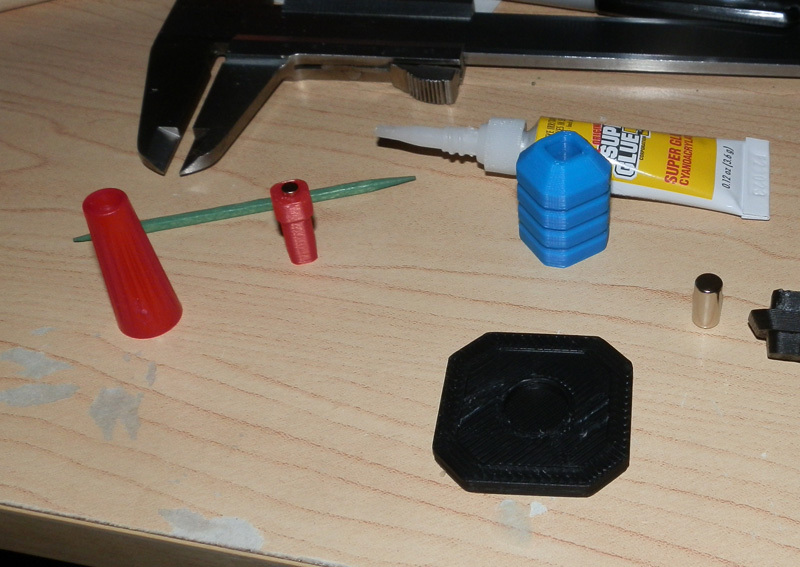 As I posted earlier, I’m creating a new GI Joe Adventure Team gear set. This one is to counter cyber-terrorists. It’s called Cyber Counter-Attack, and features several helpful bits of equipment to thwart an active local cyber attack. 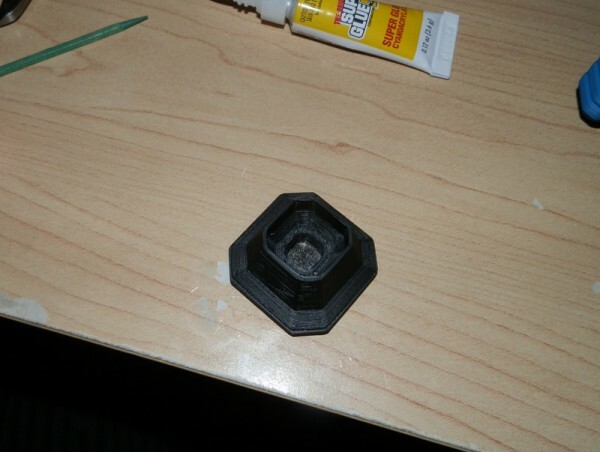 The first model I tackled was the Cyber EMP Grenade. 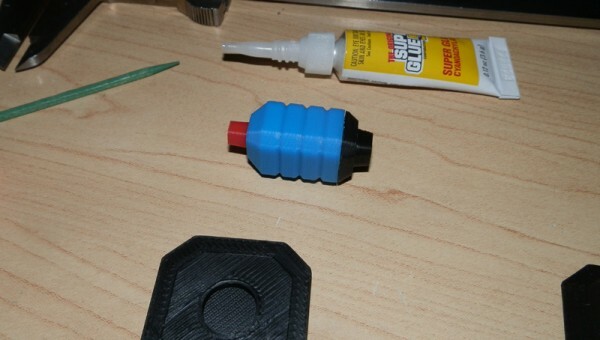 It’s a bulky hand-thrown grenade that contains a very powerful magnetic pulse circuit. Simply push the plunger and throw. A timer, set by using the hacking console, counts down and then BOOM! A massive localized Electro-Magnetic Pulse knocks out any electronic equipment a hacker may be using. To make it a bit more useful, there is also a magnetic base the grenade can fit in to make it a plantable mine. You simply stick it to a wall and let it count down. Same result without having to toss it. 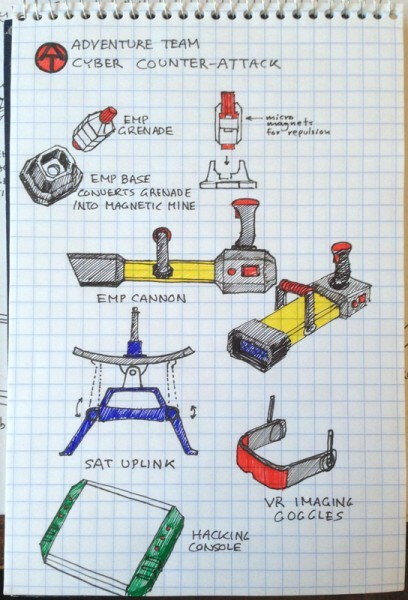 I also use three rare-earth magnets in each grenade/mine combo. One very small one for the base of the plunger, a cylindrical one for the bottom part, and one for the mine base.